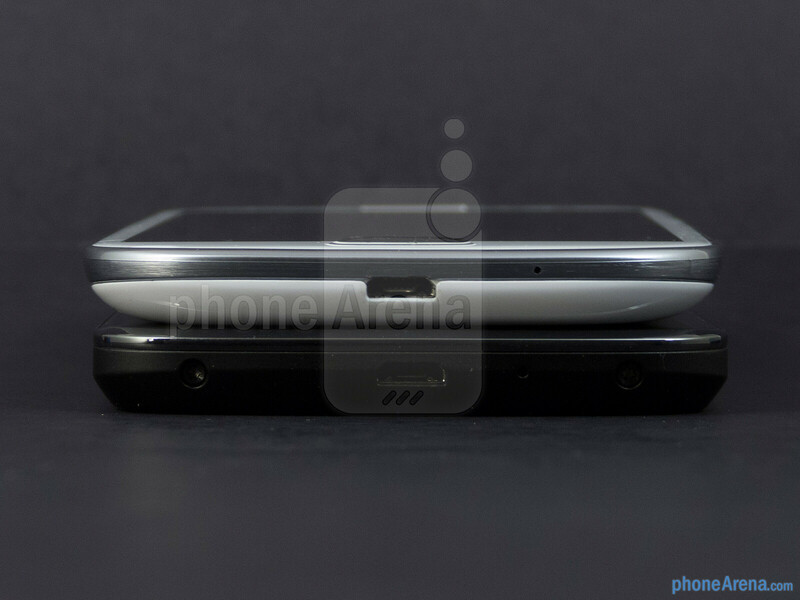 We have used the US version of the Samsung Galaxy S III for this comparison. For as long as we can remember, Samsung has proven itself as being the premier smartphone maker out of Korea, as Sammy’s renowned Galaxy smartphone handsets have seemingly been greeted with open arms by people worldwide. Sitting in the shadows, it wasn’t until recently that LG finally emerged from out of the depths with the impressive LG Optimus G, but without pausing for a moment, they’ve undoubtedly came out of nowhere with the one-two punch offering of the Google Nexus 4. With the mighty name behind its product, will LG’s Nexus branded smartphone pull ahead of the Samsung’s current pride and joy in the Galaxy S III? Looking at the two, we can wholeheartedly agree that neither comes off as mighty stylish in design, but the Galaxy S III has a more natural feel in the hand thanks to its curvier feel. 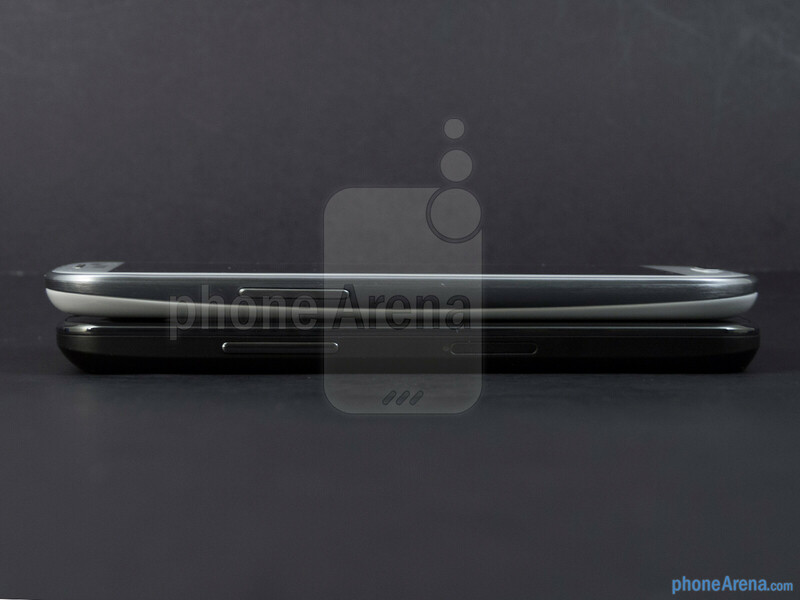 In contrast, the Nexus 4 definitely feels like the more premium device between the two, primarily due to the glass surfaces covering the front and rear of its casing. However, the glass surfaces tend to be more susceptible to smudging, and at the same time, it causes the handset to feel super slippery. Finally, build quality seems to be on par with one another, but again, the glass casing of the Nexus 4 exudes a sturdier finish over the plastic body of the Galaxy S III. Even though the Galaxy S III utilizes a combination of capacitive buttons and a single homescreen, it doesn’t pose any issue with accidental presses. On the other hand, the Nexus 4 has its Android buttons incorporated with its interface – so it doesn’t have any impact. Interestingly enough, the two have their dedicated power buttons and volume controls positioned in the same areas. At the same time, they’re distinctive enough to feel out and offer tactile responses when pressed. As for some of the other commonalities that they share around their trims, they include the following: 3.5mm headset jacks, noise-cancellation microphones, standard mics, and microUSB ports for charging/data/video-out connectivity. 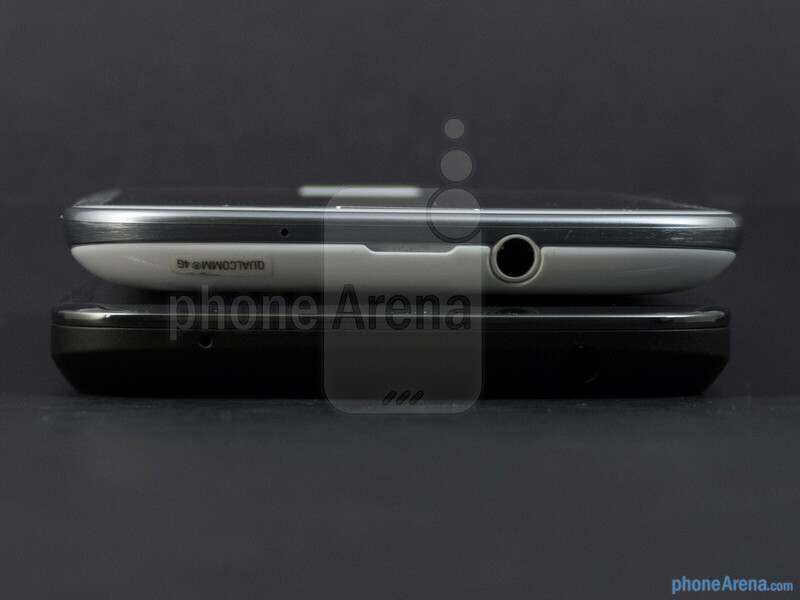 For video-out functionality, the Galaxy S III uses a non-standard MHL port, while the Nexus 4 opts for Slimport socket. When it comes to snapping photos, they feature 8-megapixel auto-focus rear cameras with LED flashes, which can shoot video in 1080p. 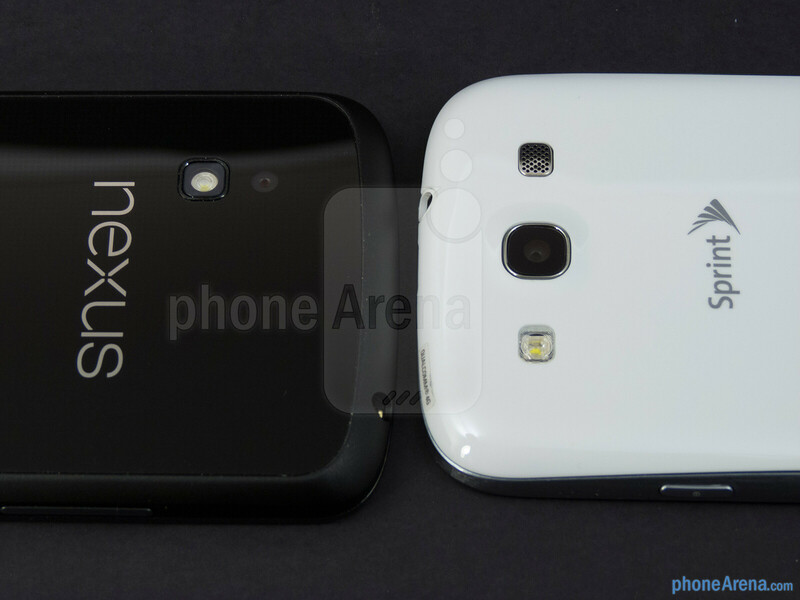 Meanwhile, when it comes to front-facing cameras, the Nexus 4 is packing a 1.3-megapixel snapper – while the Galaxy S III is sporting a slightly higher 1.9-megapixel one. 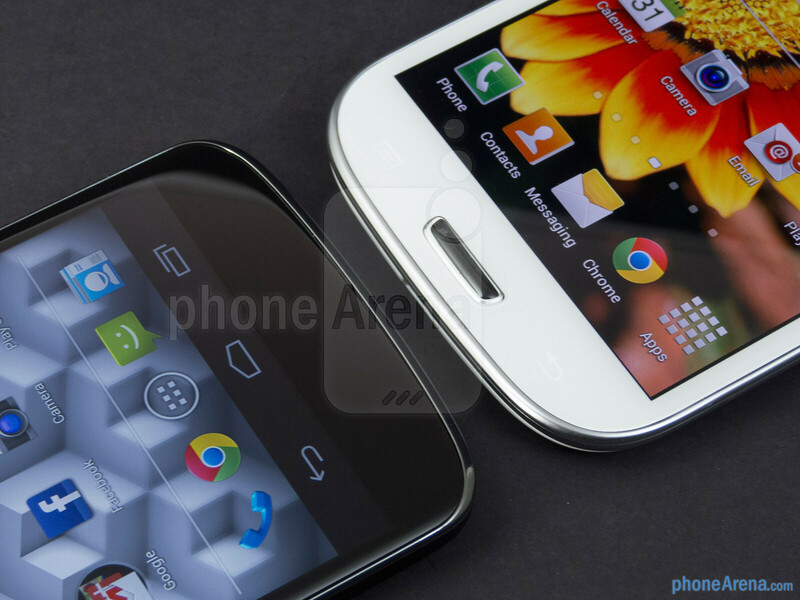 Easily regarded as the more flexible device between the two, the Galaxy S III is the one to feature a removable battery and microSD card slot for storage expandability, which aren’t offered by its rival in the Nexus 4. Always a difficult thing to gauge, especially when it can vary between individuals, these two handsets feature displays that are undoubtedly quality in every aspect. Yes, we’ll agree that the 4.8-inch 720 x 1280 HD Super AMOLED display of the Galaxy S III has the initial wow factor with its overly saturated color tones and deep black reproduction. However, it doesn’t match the color accuracy and better outdoor visibility seen with the Nexus 4’s 4.7-inch WXGA 768 x 1280 True HD IPS Plus display. And even though the Nexus 4’s display uses the RGB pixel arrangement, as oppose to PenTile on the Galaxy S III, it doesn’t necessarily prove to be a significant improvement, seeing that both are still highly detailed in practical usage. In the end, it’s all about what’s preferable to you – whether it’s the flashy and vibrant colors put out by the Galaxy S III’s display, or the more realistic tones and better outdoor visibility of the Nexus 4 screen. Both of them are just perfect piece of technology. But I'll still pick S3 over design and features. 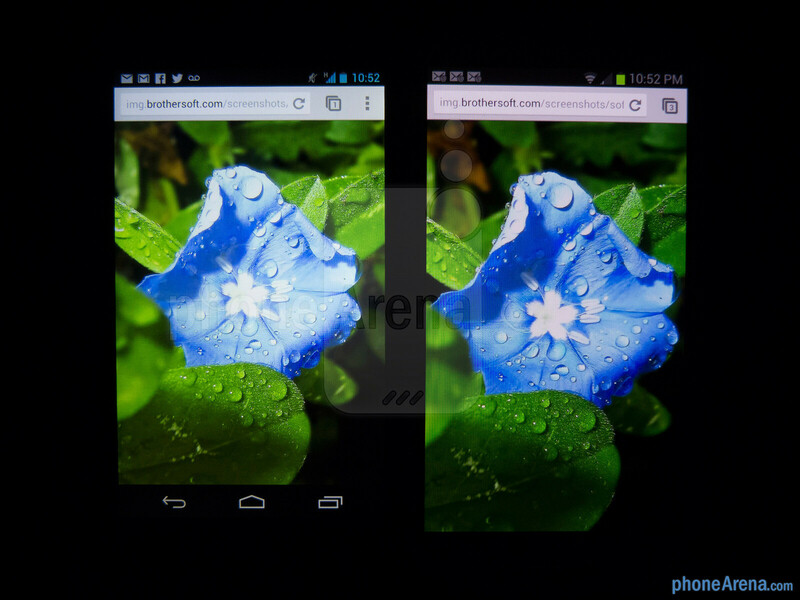 I think Google really have to workout those thick bezels on Nexus phones which just don't make sense to me at all. I didn't buy Nexus from Samsung just because of this and won't buy LG Nexus for the same reason as well. 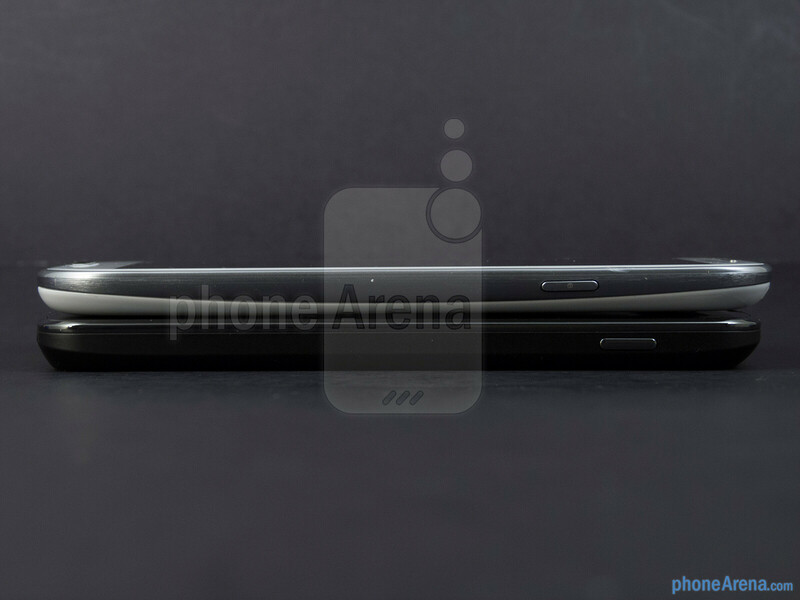 the Nexus 4 is both shorter and narrower than the One X which also has a 4.7 display. i can almost bet it's bezel is thinner than S3 too. LG Nexus 4 for software, people who prefer experience over power. Samsung Galaxy S III for all the brawns and muscle. Good review once again! 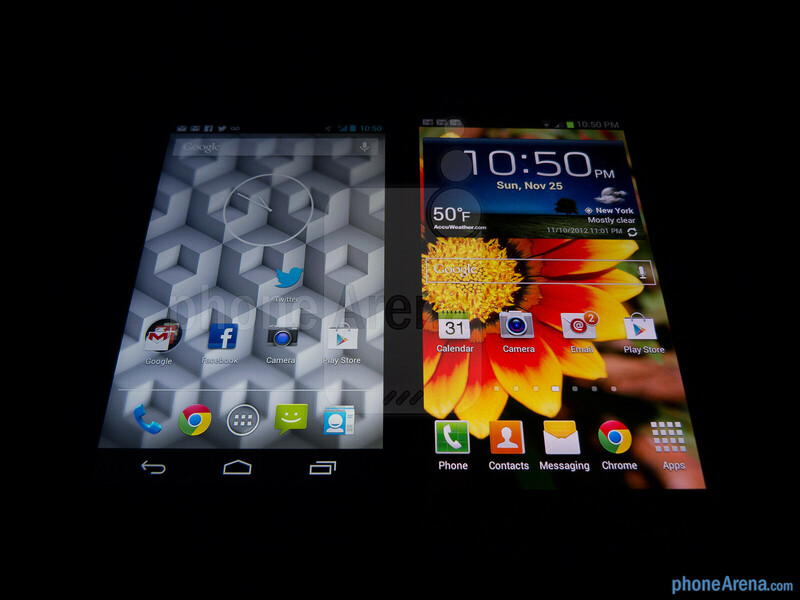 Nexus 10 smackdowns next, along with 920 vs Nexus 4. 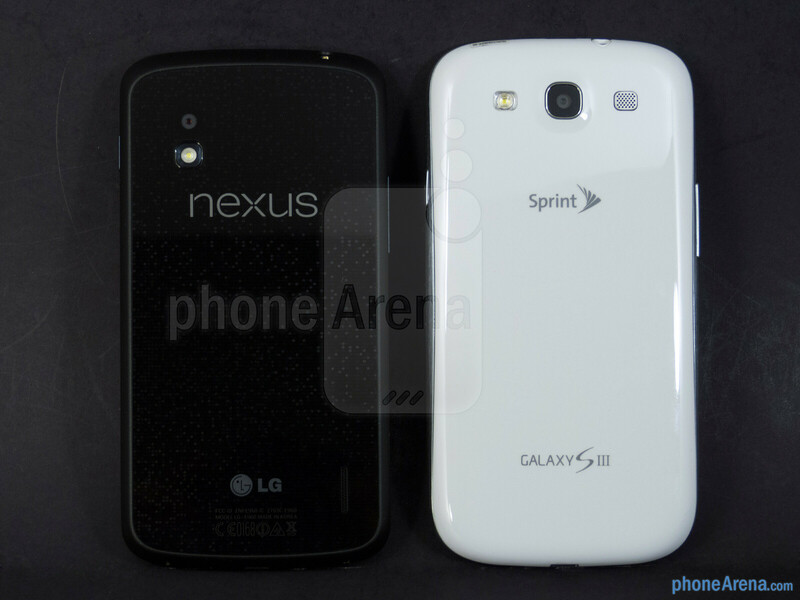 Nexus 4 has qua core, GS3 dual core only so how GS3 can have more power? GS3 has more flexibility: removable battery and SD slot and more internal memory. 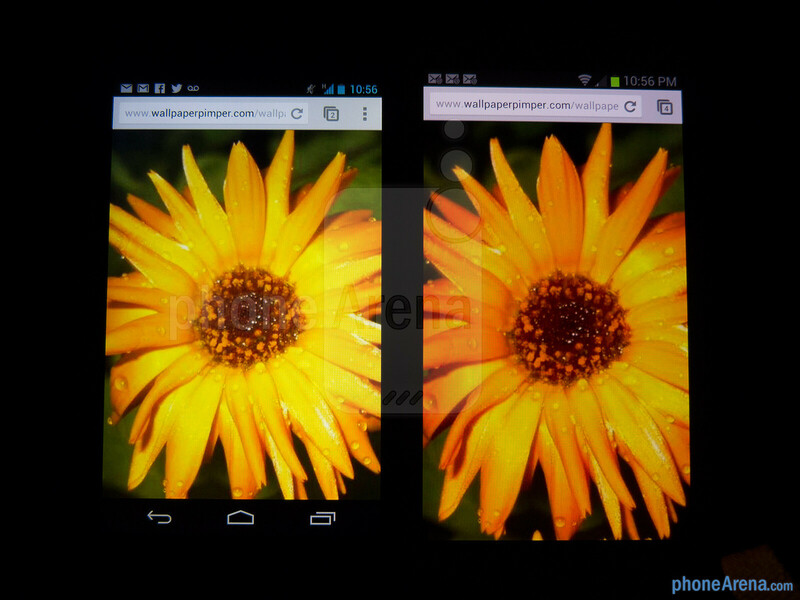 GS3 camera is better but for the rest it's Nexus all the way. The S III is a quad-core device and both perform rougly equally. Look again, US version of GS3 is dual core, other versions are quad core but A9-based while Nexus is Krait quad core which is much better. Why would someone thumbs down you for living in Europe?? Look again, US is only one country, there are 184 other countries and many of them have the quad core version (some dont even have the s3) which greatly outnumbers the US dual core. The review is using the Sprint model. A US version. So it doesn't matter if the quad core version is in more countries, because the review is using the dual core version. It's the very first line of the article. *Facepalm- GS3 Dual core is for the american version. International version of GS3 is QUAD Core. 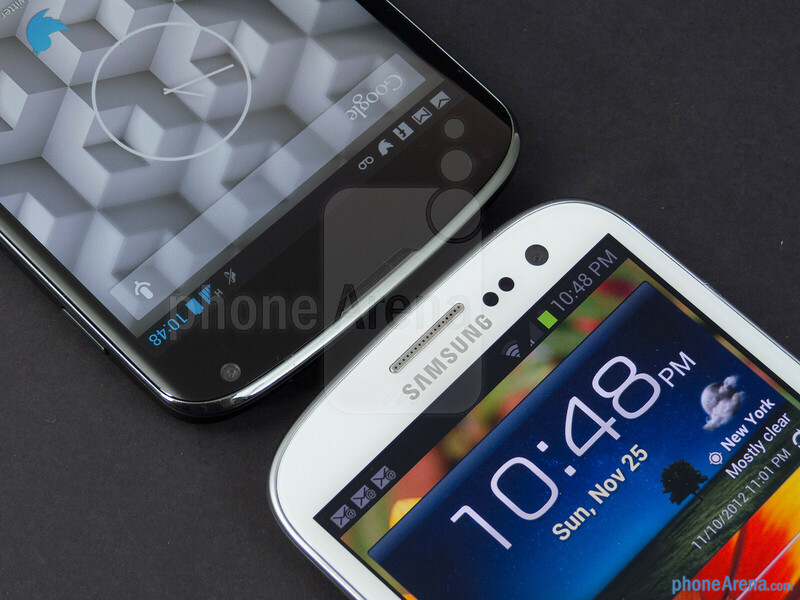 Software wise the Galaxy S3 and Samsung s**ts all over the stock Android features that will always be. Nobody beats Samsung in the software and features side not even Google. . 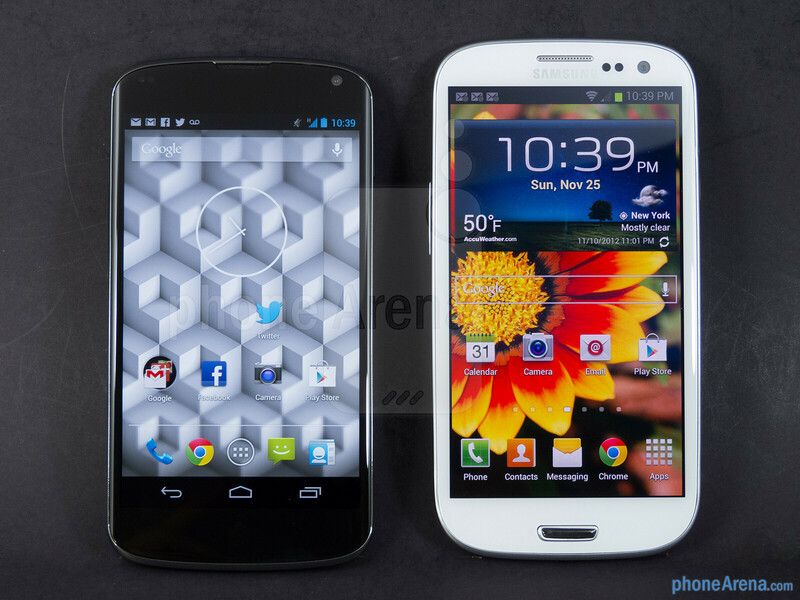 I would choose Google Nexus 4 over Samsung Galaxy S III. The Galaxy S III is the slightly better phone but the killer price, an fast-updatable pure Android experience is what would make me pick the Nexus 4 everyday. 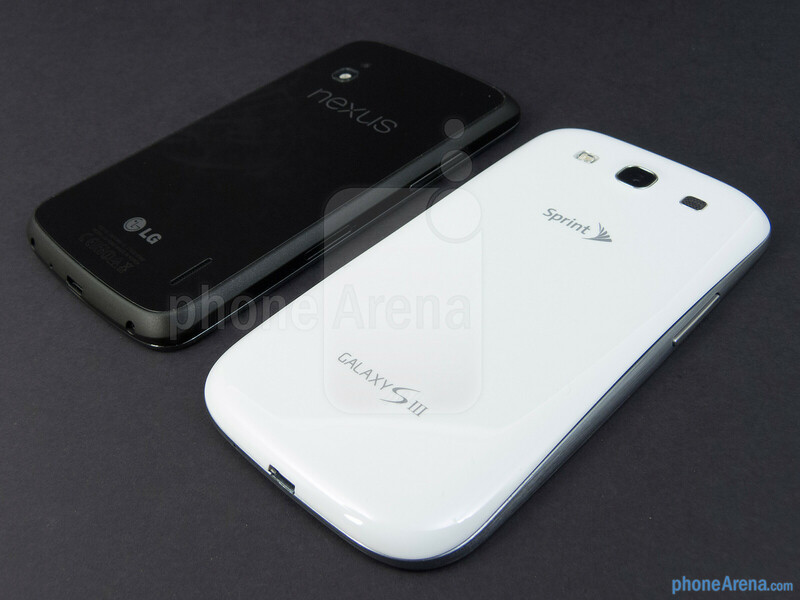 Also, i actually prefer the LG Nexus 4's design and material choice over the S III. I never sweat the updates as XDA will post the 'pure' updates for almost any phone within a week after Google releases it. 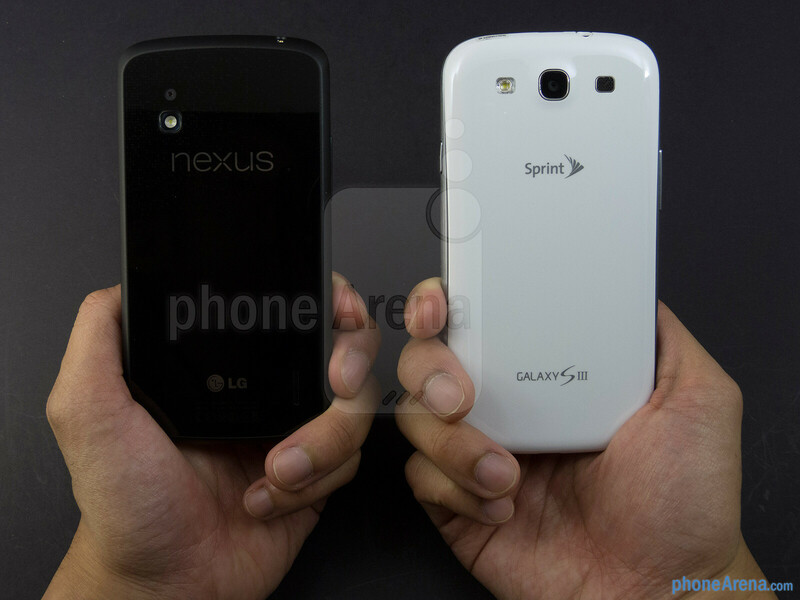 How about 920 vs S3 or nexus 4? 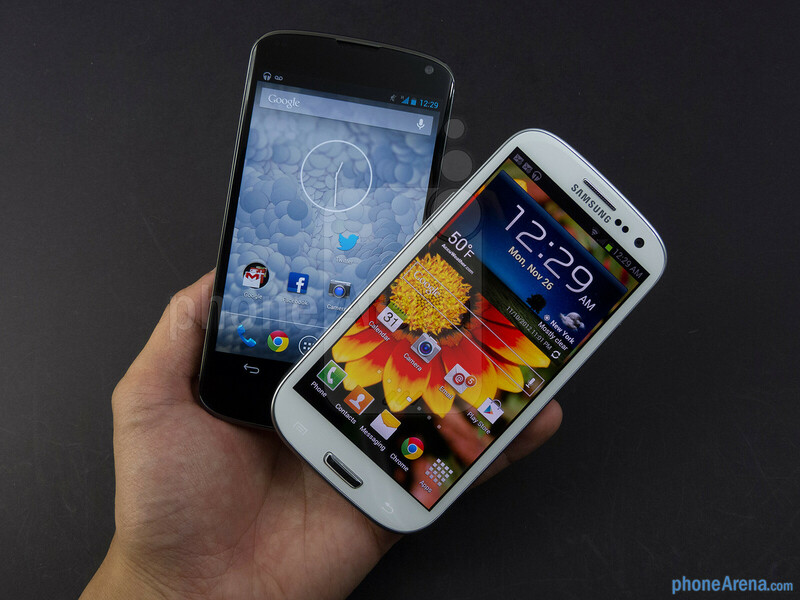 The S3 is rightfully the phone of the year, but nothing beats the Nexus 4's bang for it's buck. The only phone I'd consider over it would be the Note II, which is worth every extra penny you need to throw at it, however I think I'll wait for next year and a Nexus phablet, surely, they have devices in all segments but in the tabphone. Being a Verizon customer, LG/Google didn't give me the option between the two. Lumia 920 vs iPhone 5? 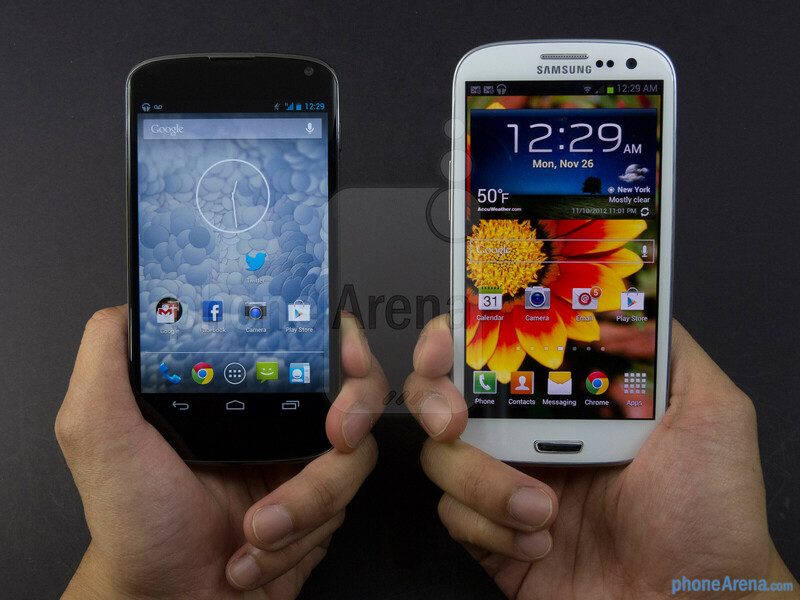 Or, the Droid DNA vs. the GS III? 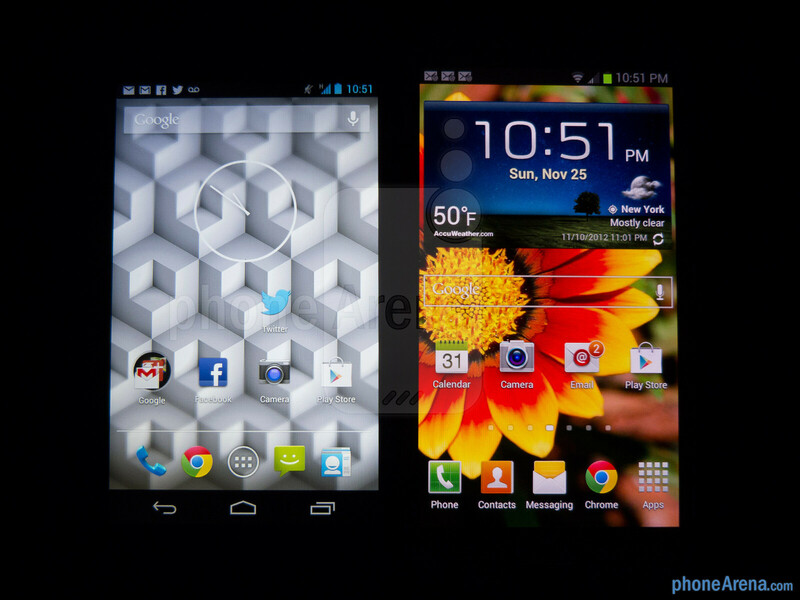 That would fit the theme of the crop of 2013 Android phones vs. the king of 2012 Android phones. No need to compare- Droid DNA Would completely smack the GSIII out of the arena! Recent articles also says that Droid DNA is no power hogger! I wonder how far out into the future Sammy will be providing updates? 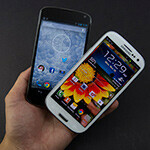 JB on the GS III may be a 2013 event for the 'official' carrier-supported version. But what about KLP? The hardware would seem to be quite future-proof (at least for 2 years or so). you are not far from the truth. I don't have a S3, but I do own a Galaxy Nexus recently updated to 4.2: the feeling is that 4.1 had more stability (there are some issues with 4.2 I don't have time to describe here). I do not mind it tough: this is the very reason I got GNex, to live on the edge, with the last nightly build of Android is possible (I run takju build since this one seems to get the fastest OTE updates). If you are an S3 user tough, you may feel different tough, and you may not care of new features to much if it comes with some instability. 4.2 isn't a terribly huge deal. 5.0 probably will be. 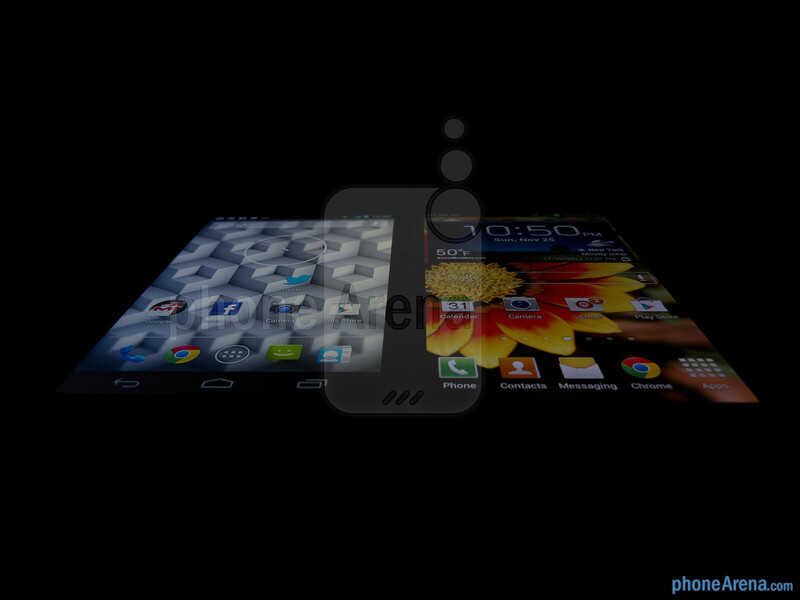 The Nexus 4 will be one of the first devices to get it. The S3 will have to wait some time. Price aside, I don't think it's "quite obvious" that the S3 wins. 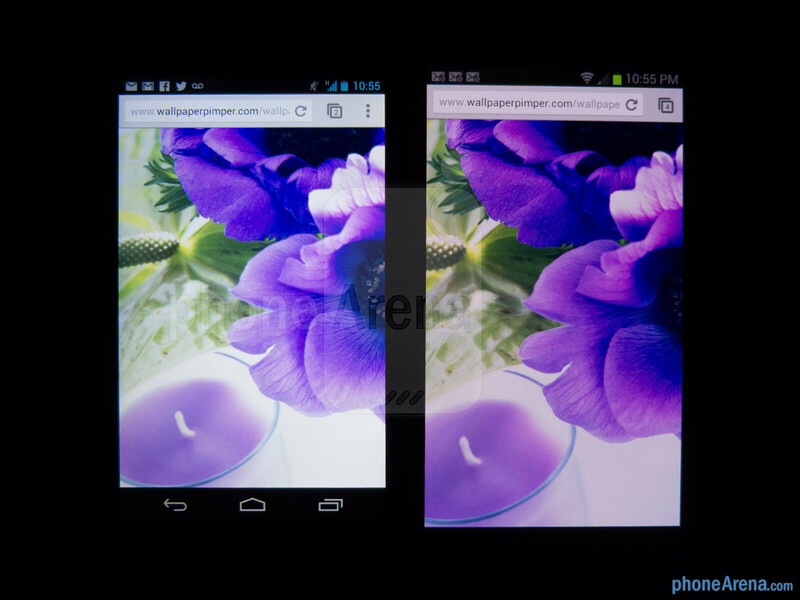 Many prefer the build and display of the Nexus 4. The S3 offers more carriers, microSD, a removable battery, and a marginally better camera. For some, these details are irrelevant, or at least not worth the software delays and skins.